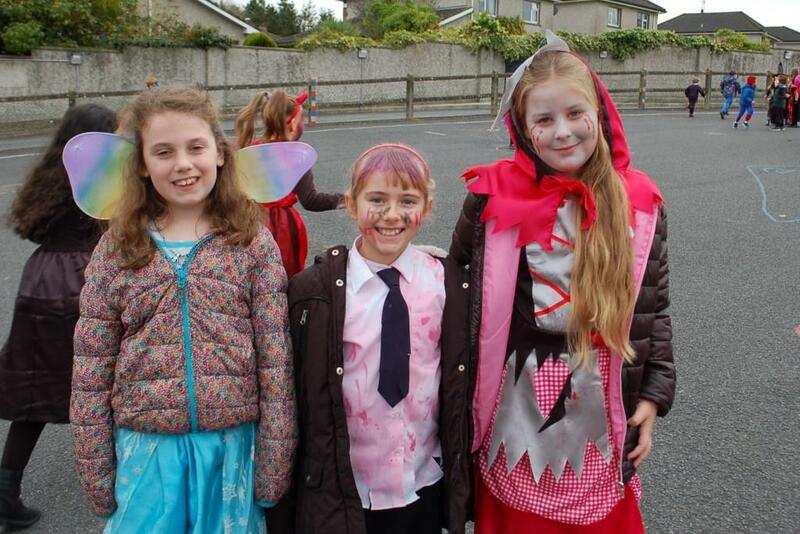 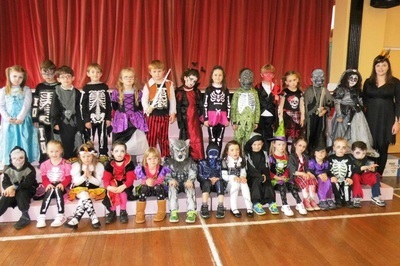 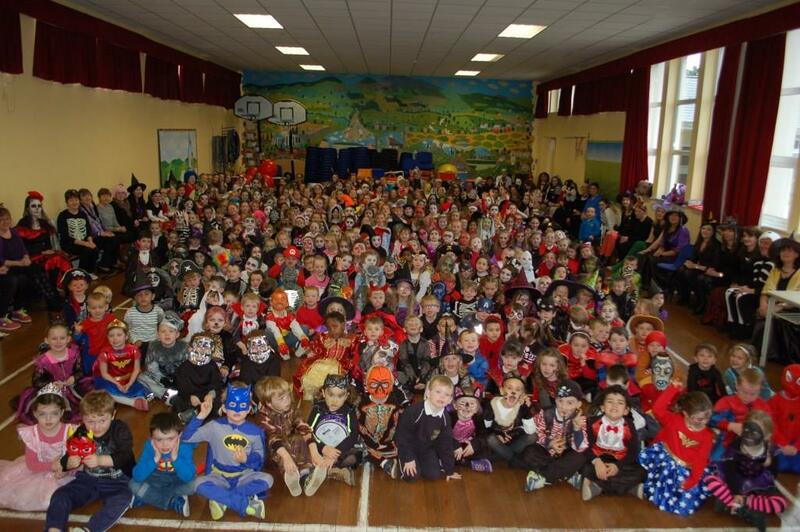 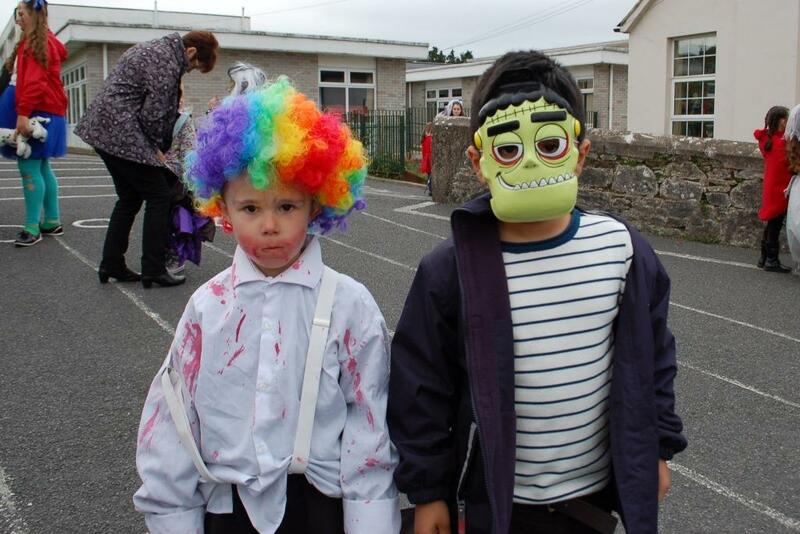 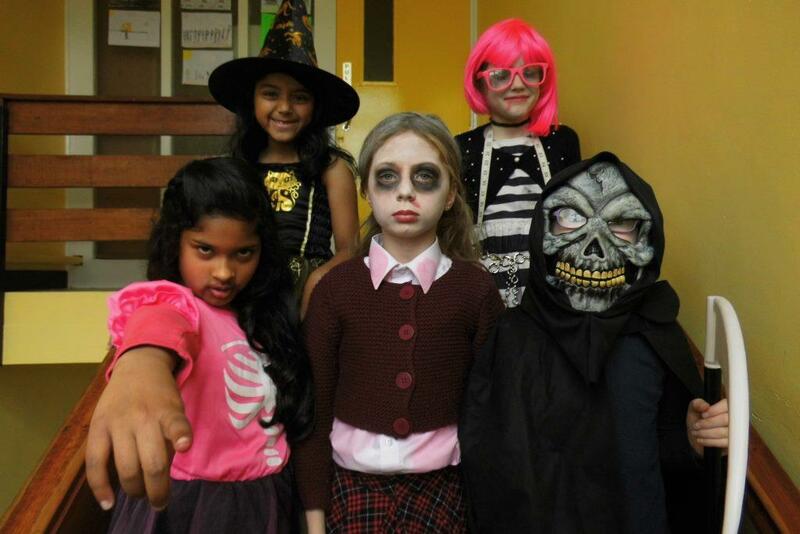 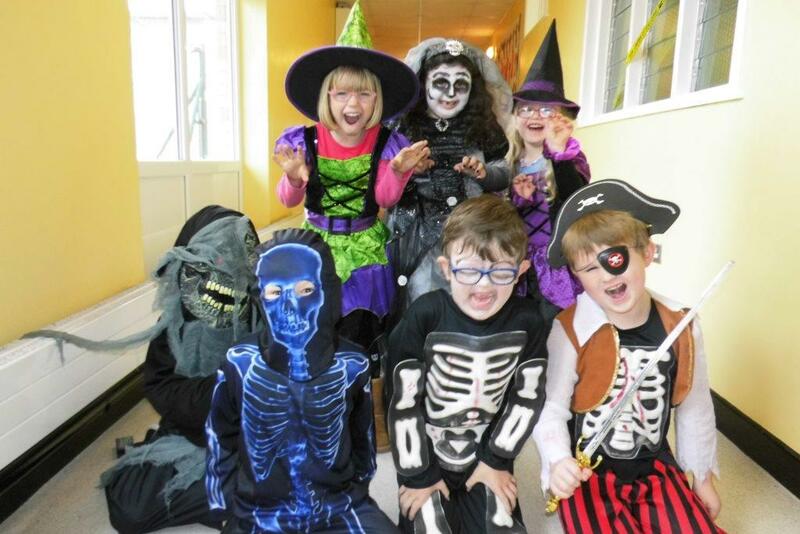 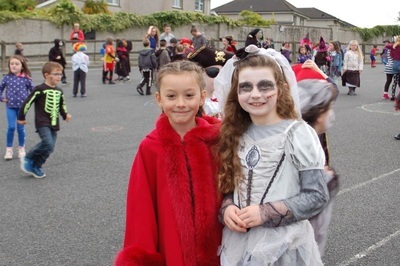 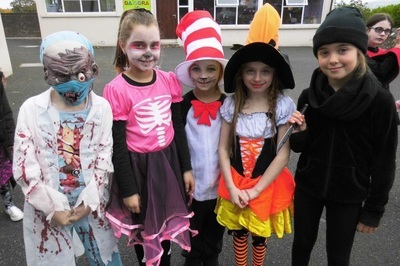 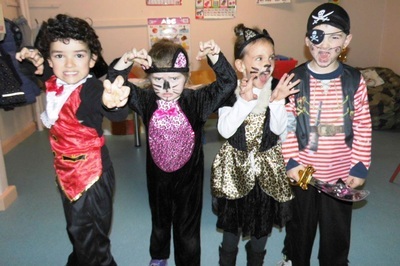 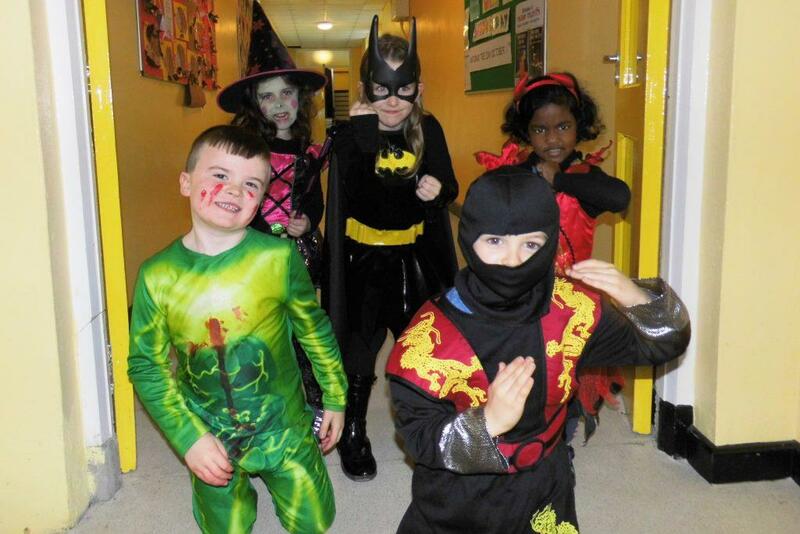 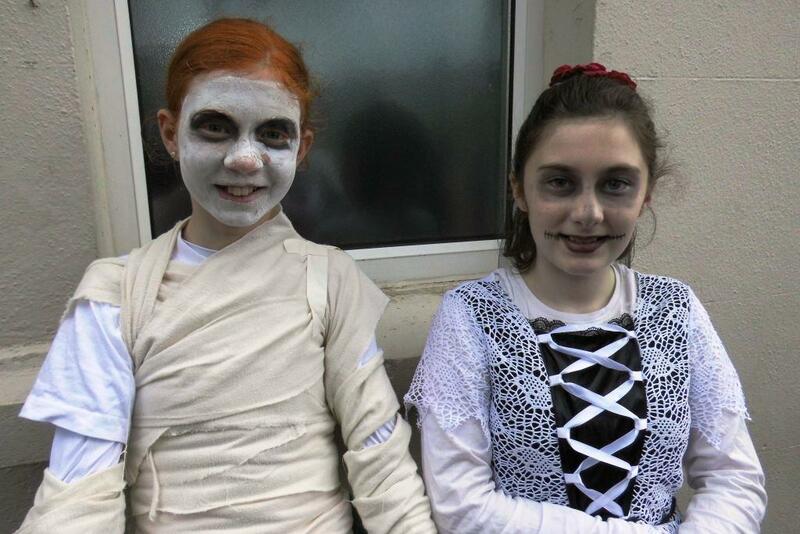 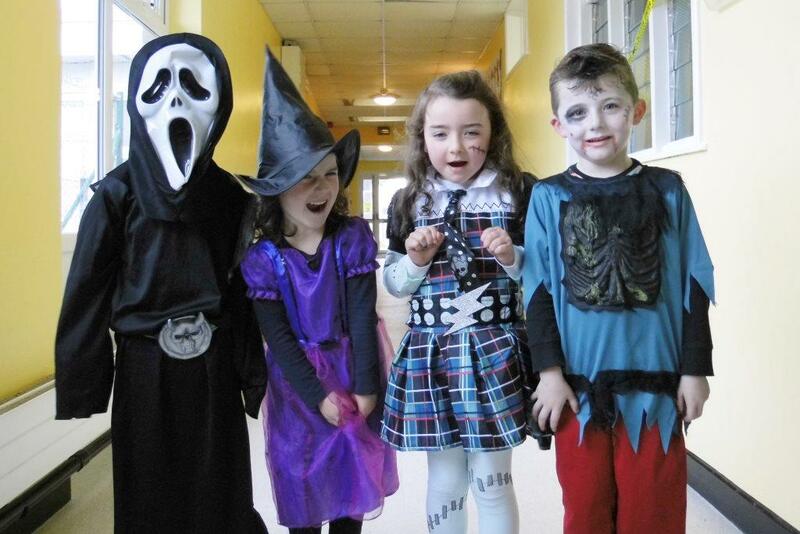 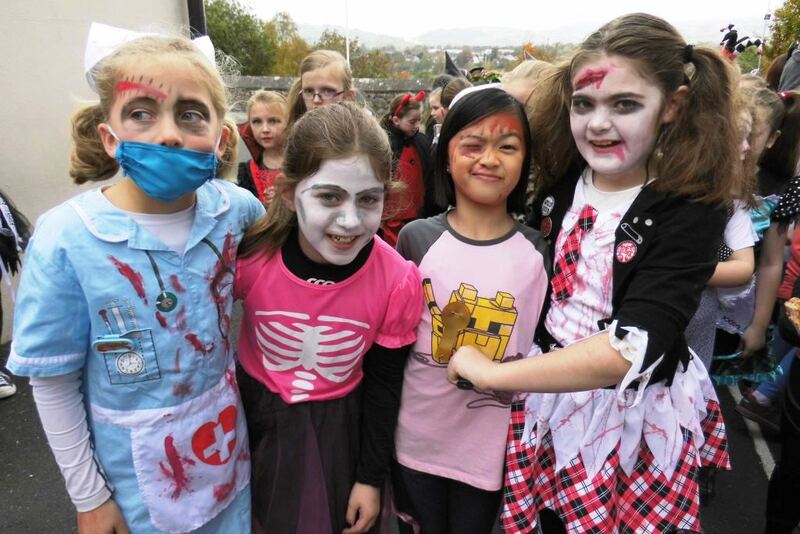 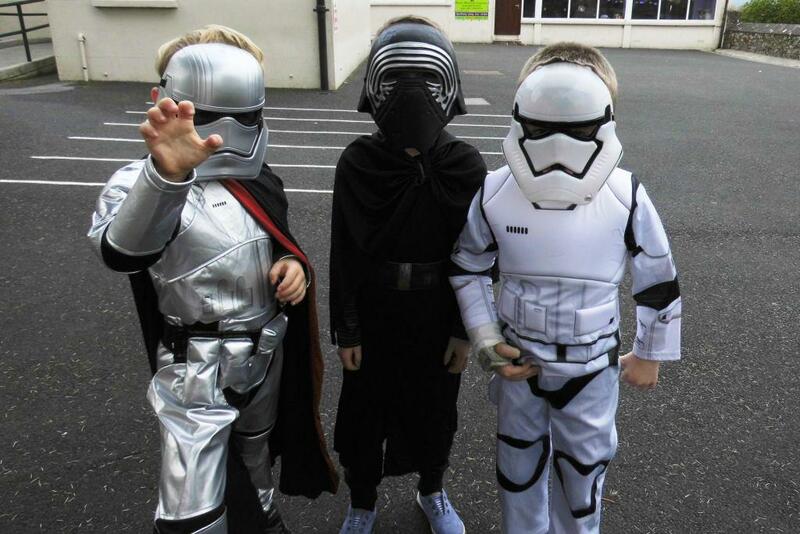 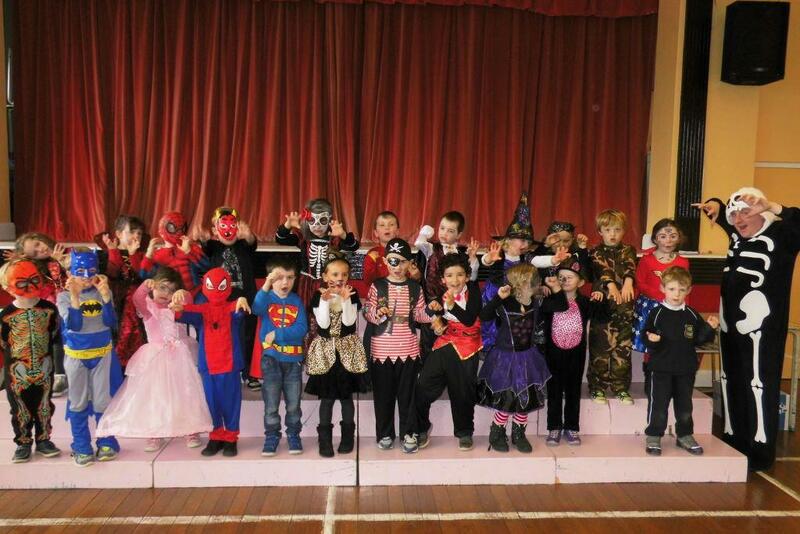 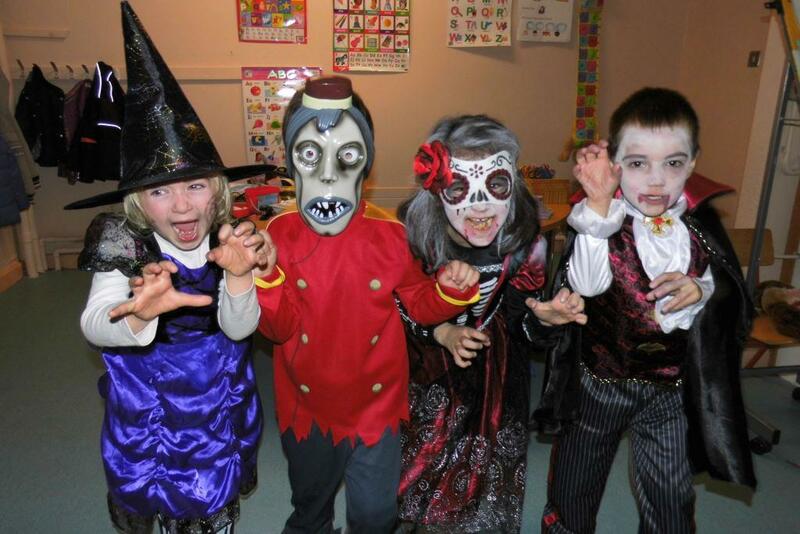 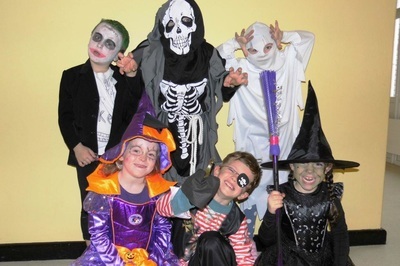 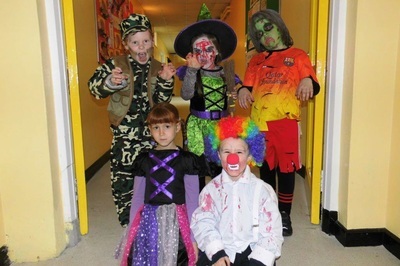 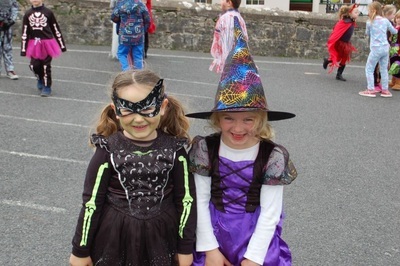 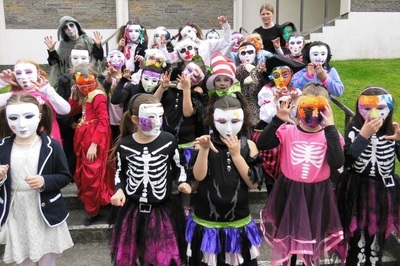 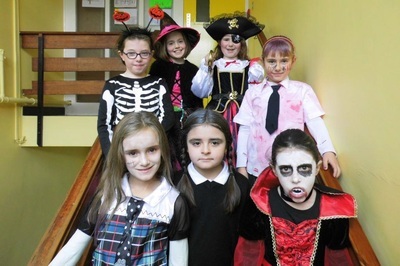 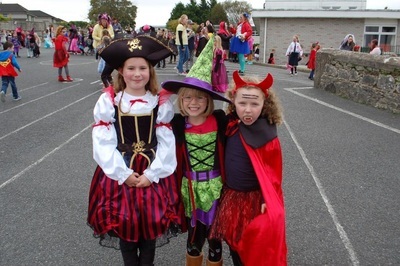 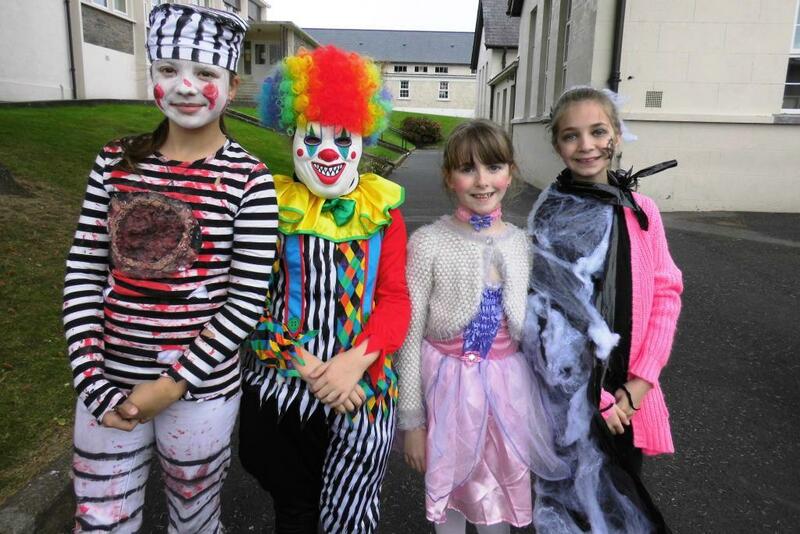 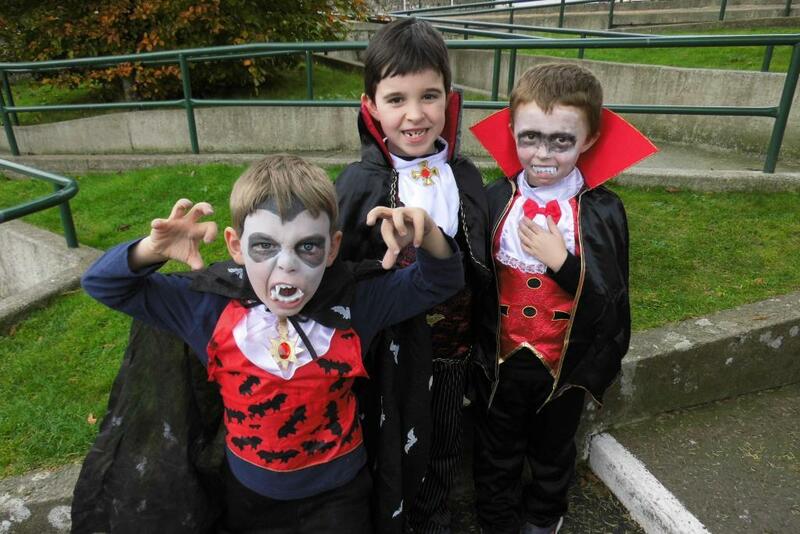 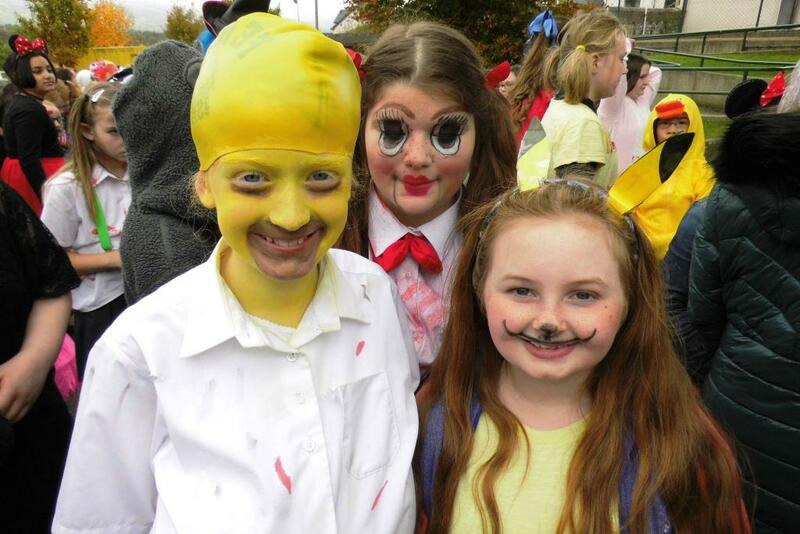 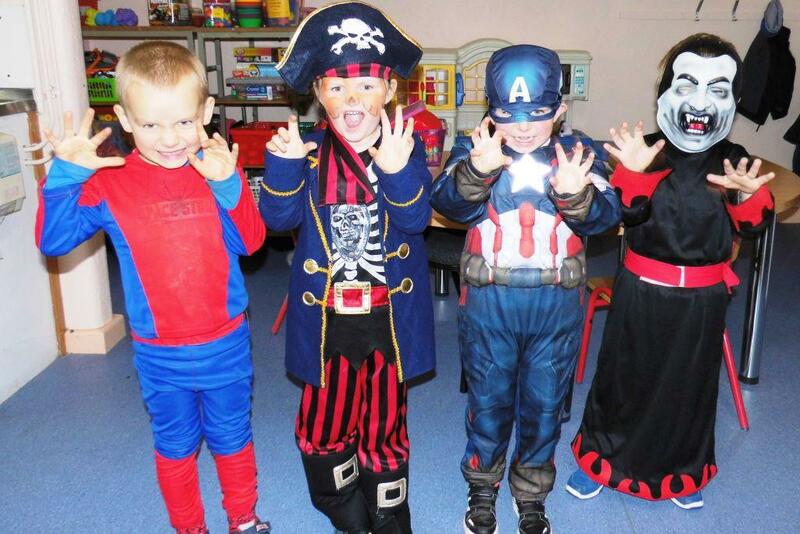 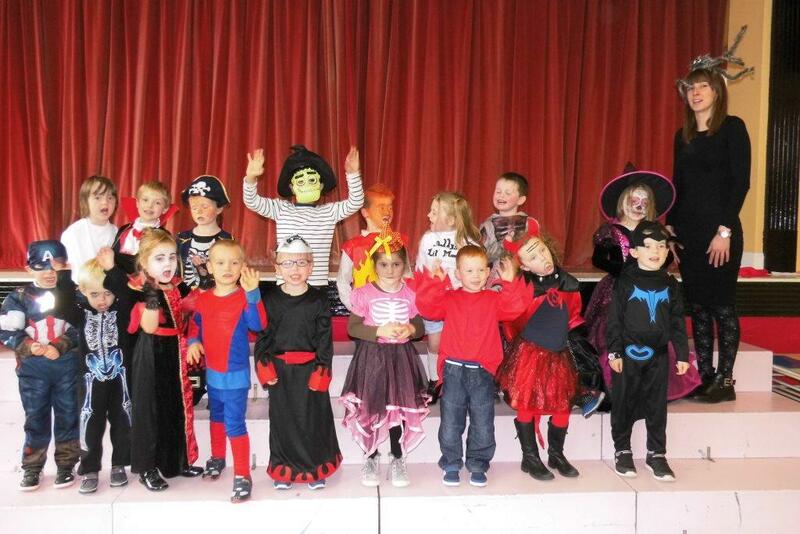 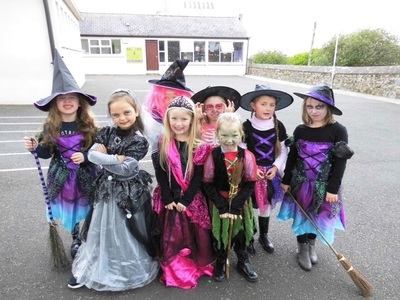 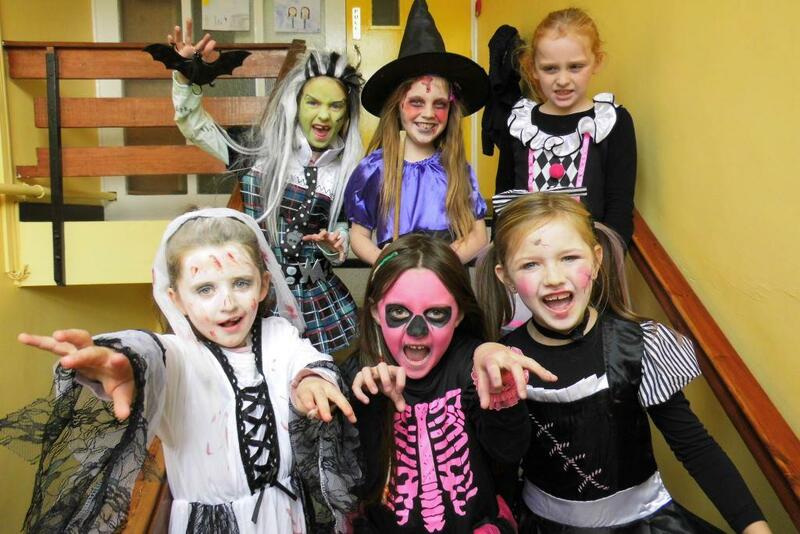 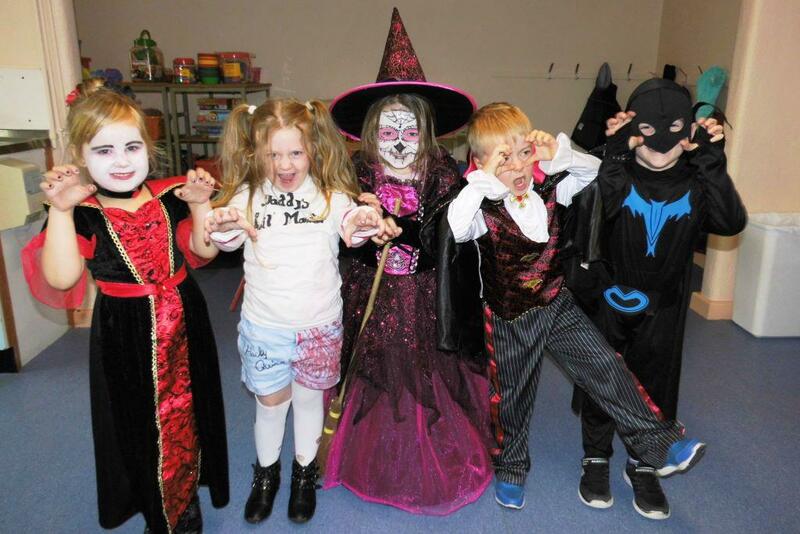 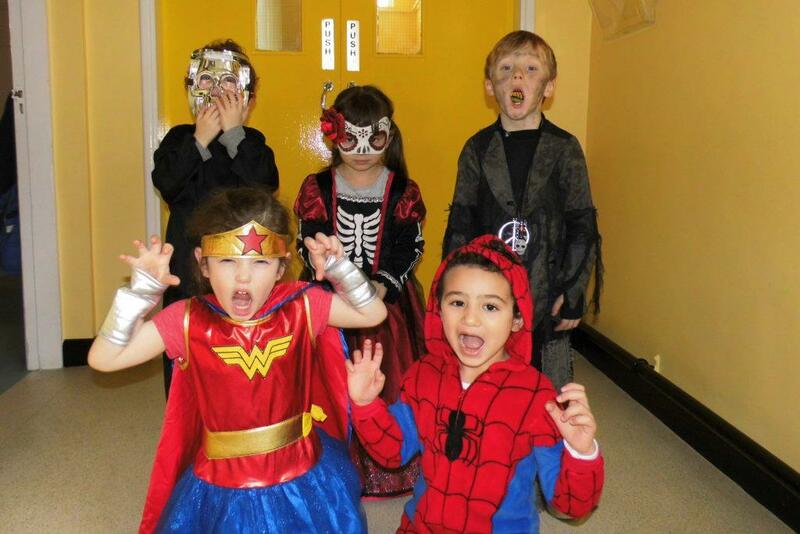 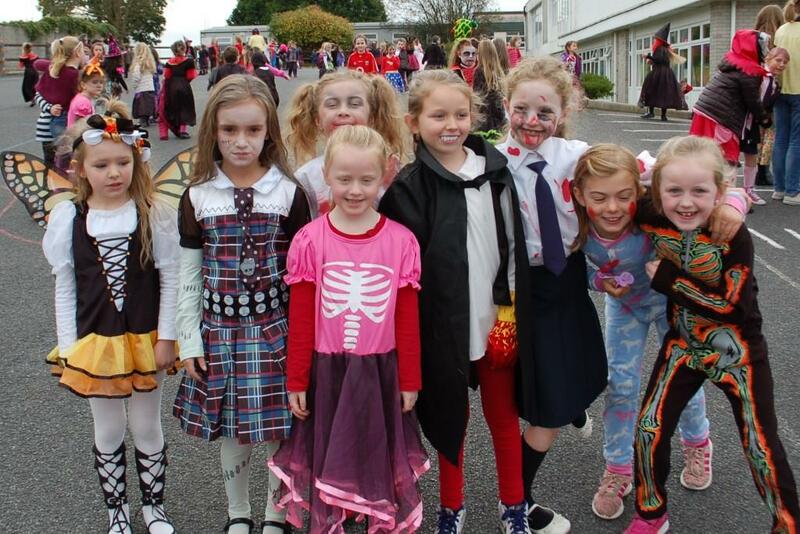 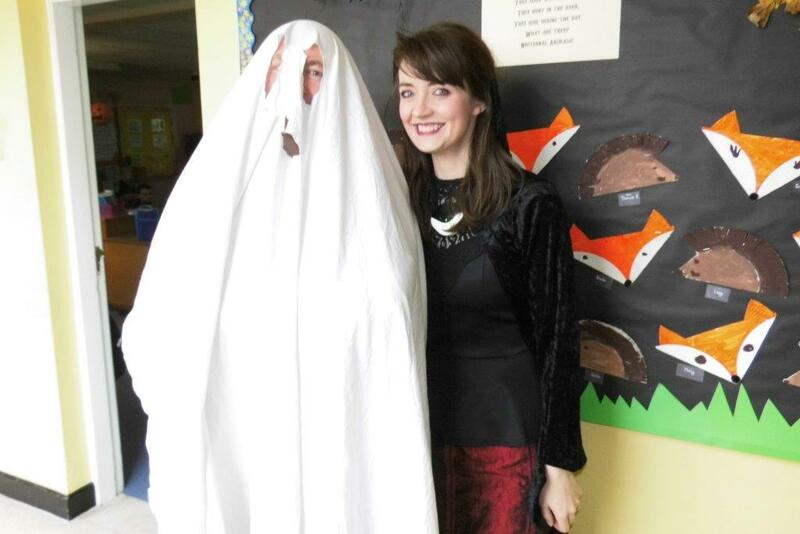 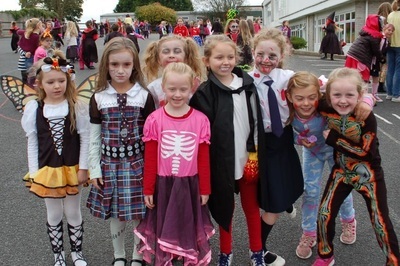 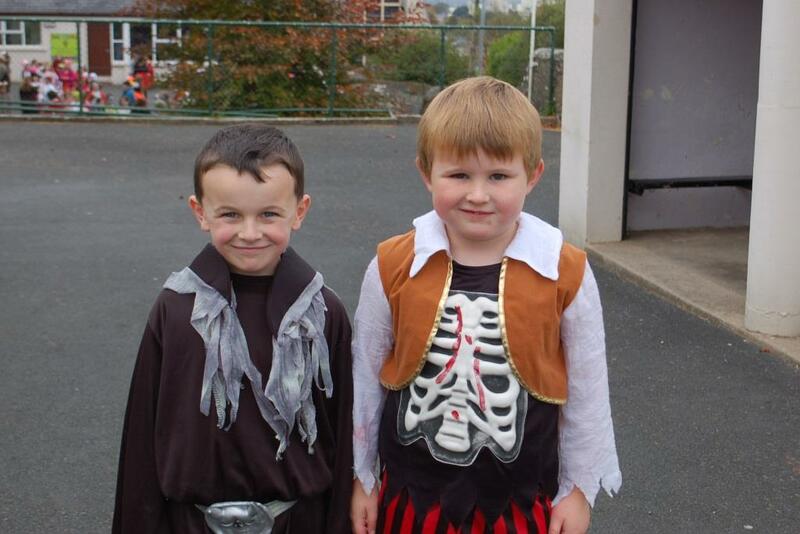 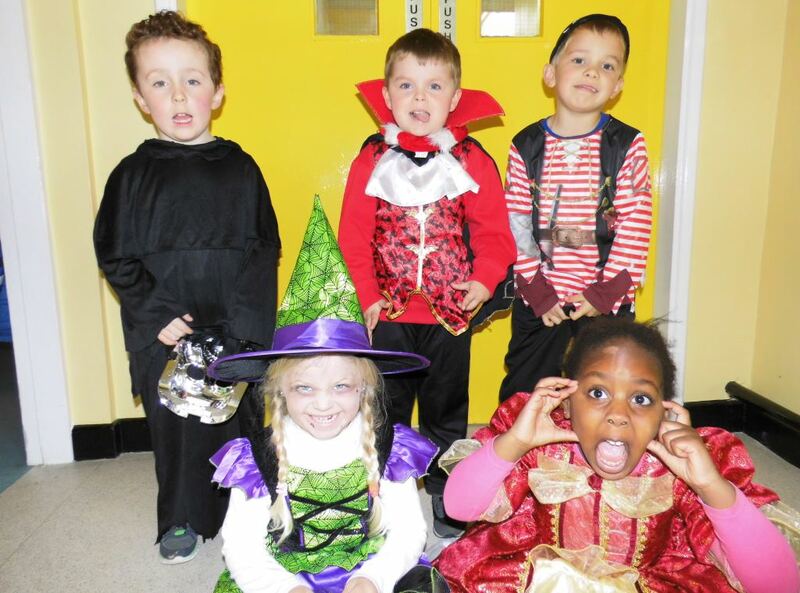 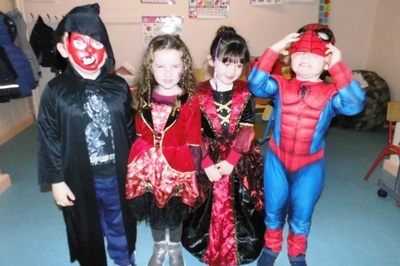 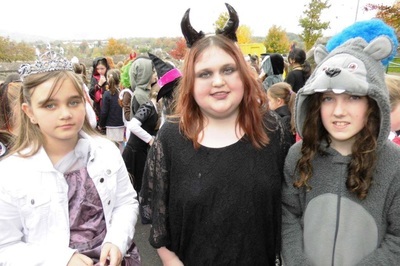 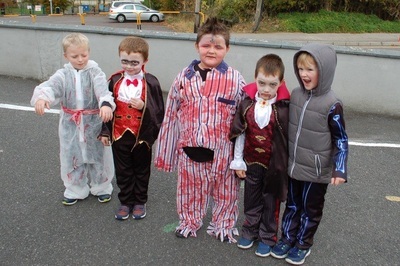 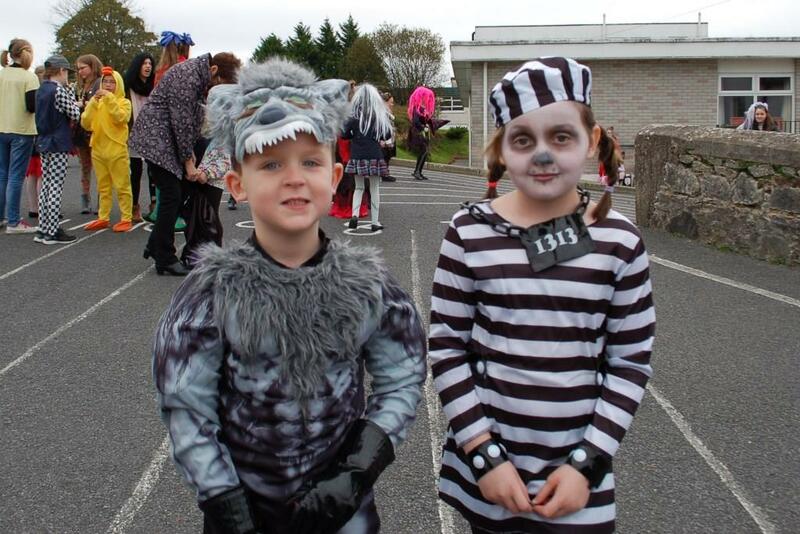 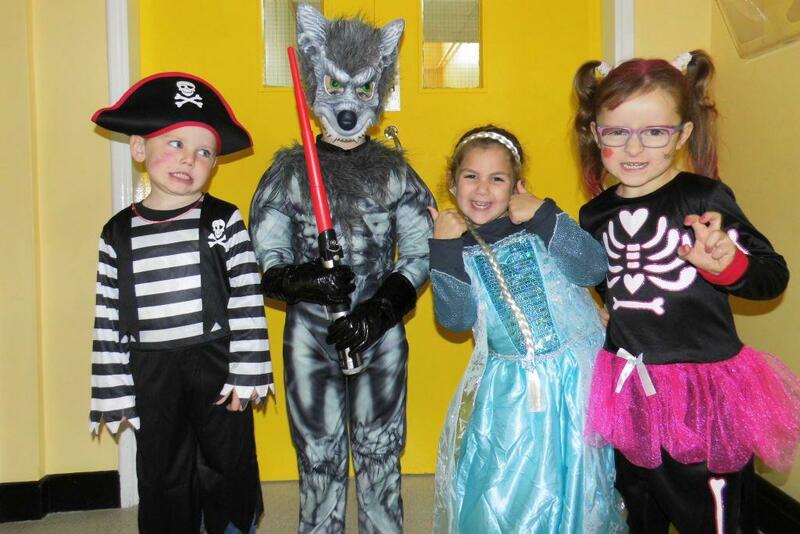 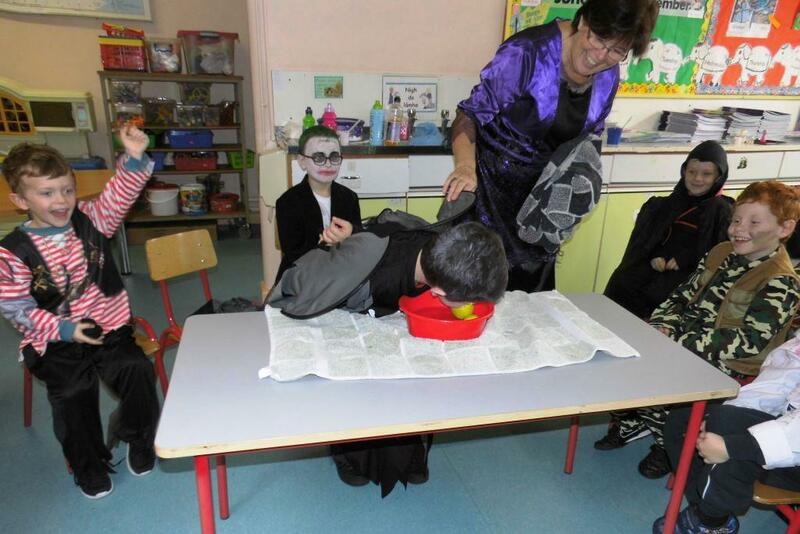 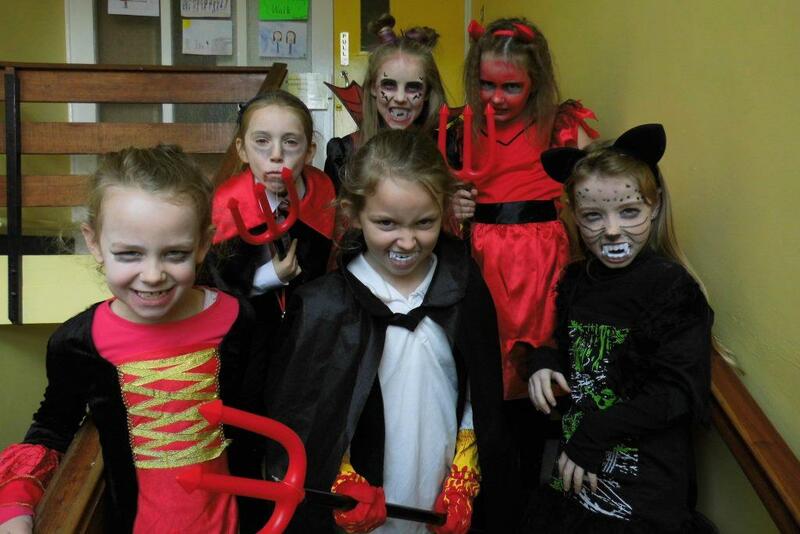 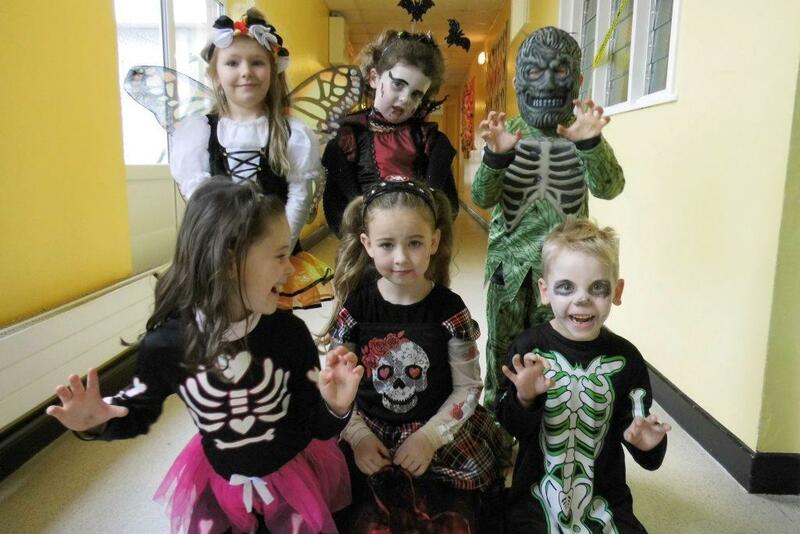 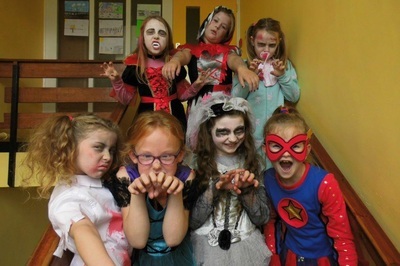 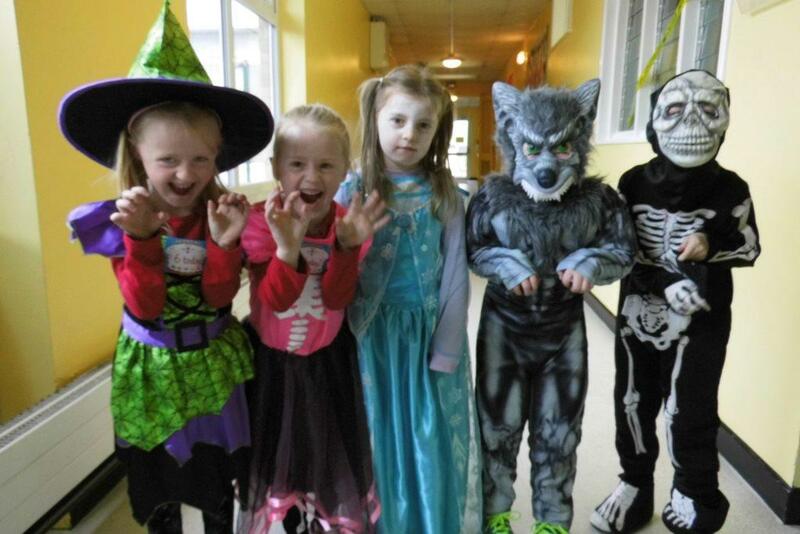 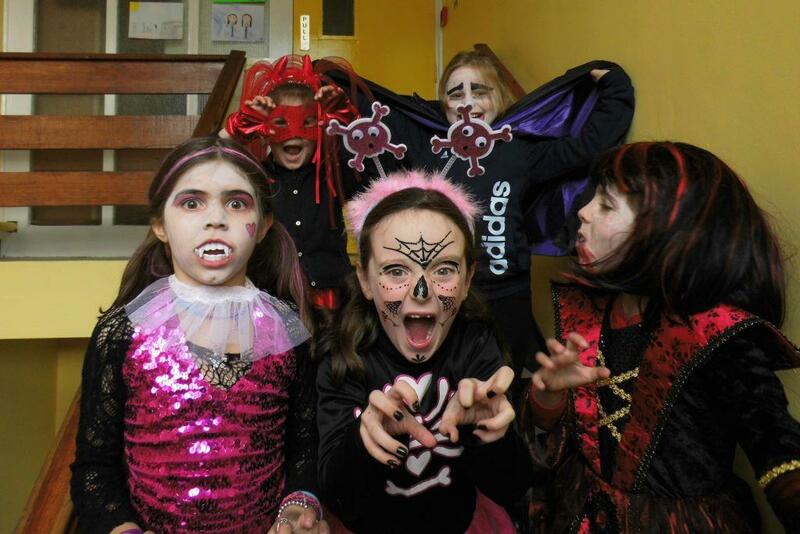 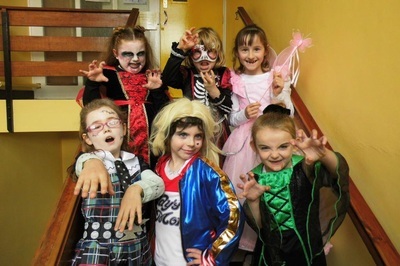 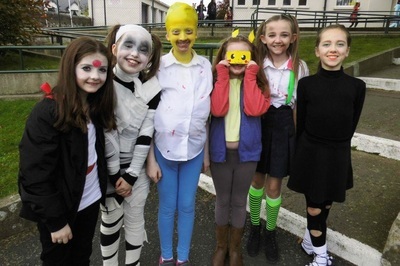 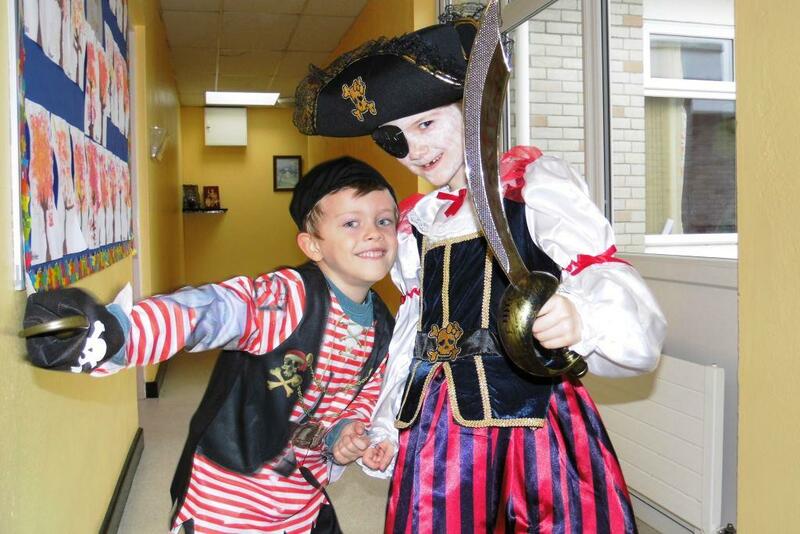 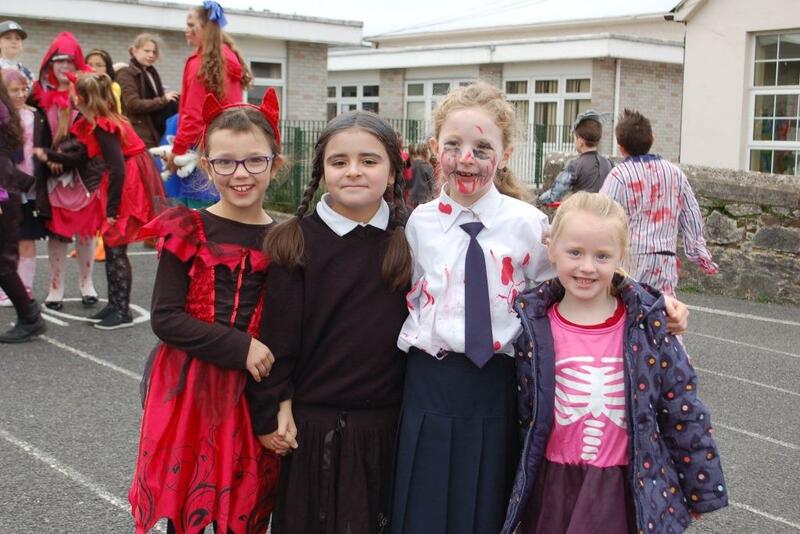 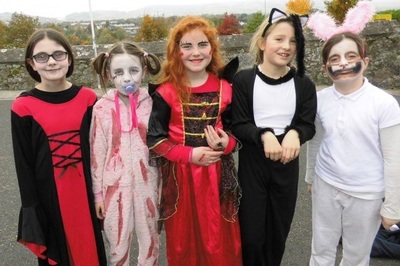 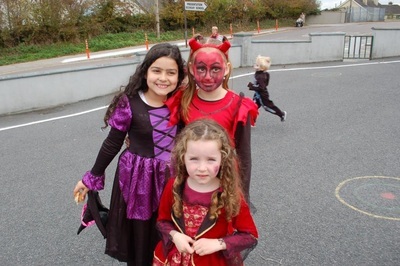 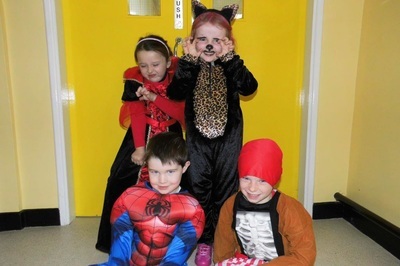 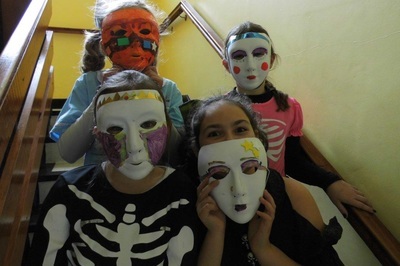 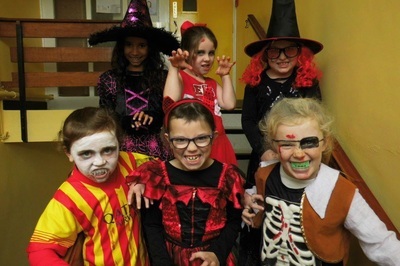 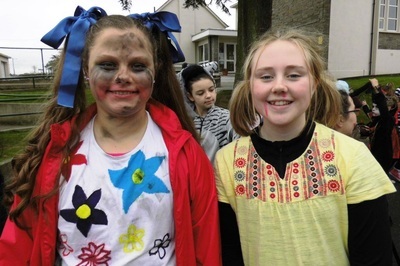 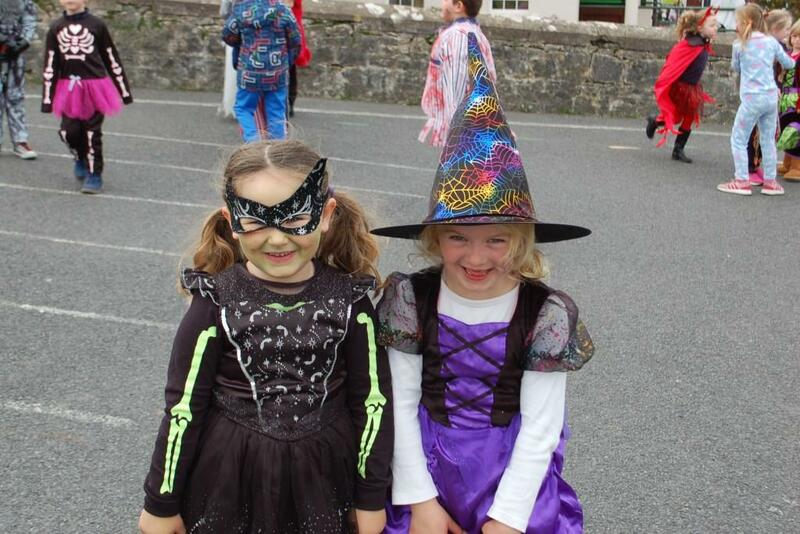 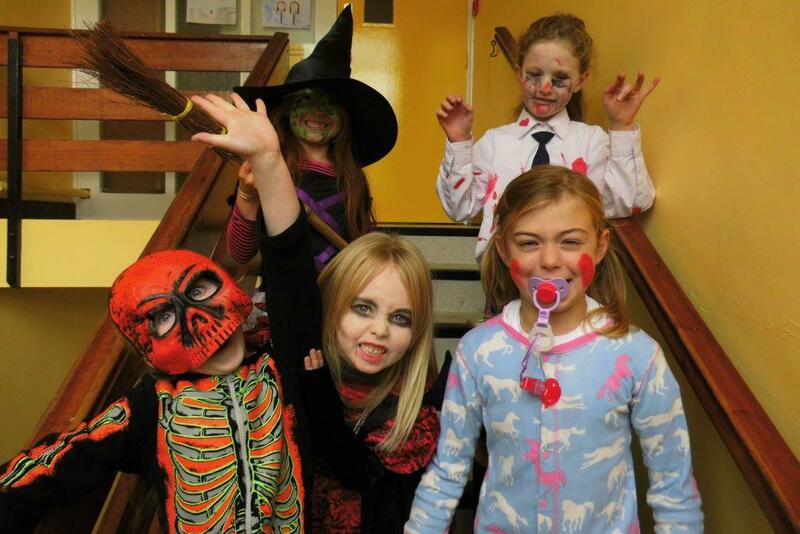 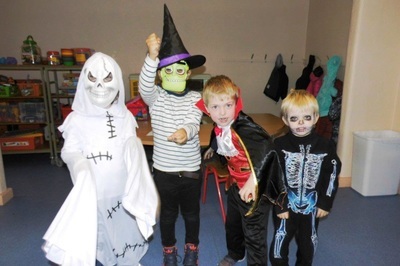 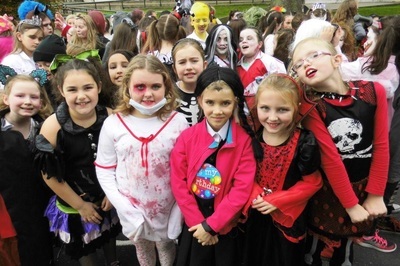 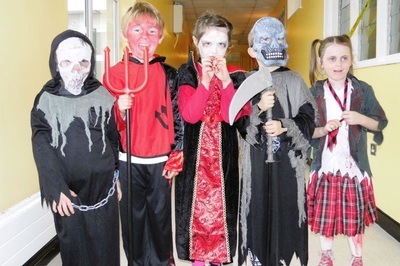 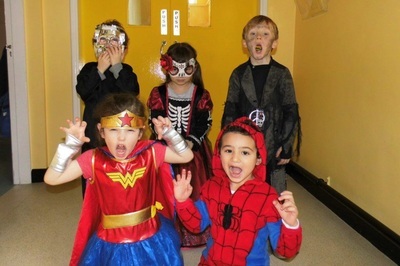 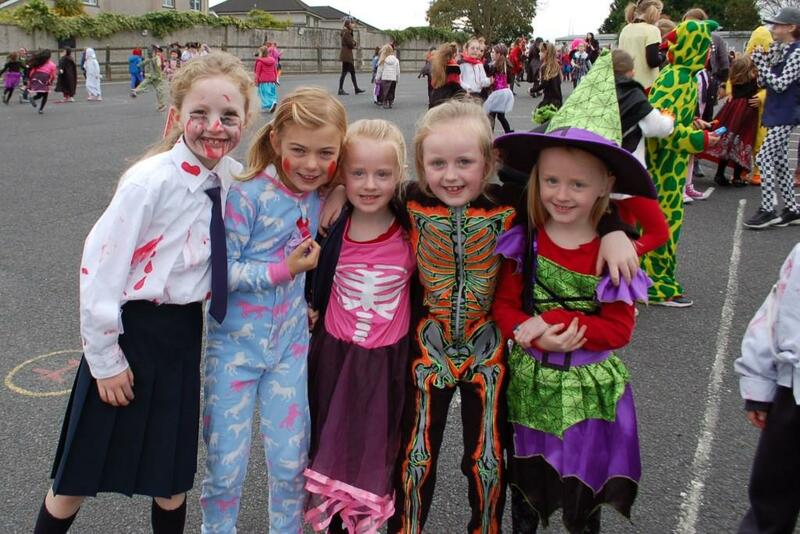 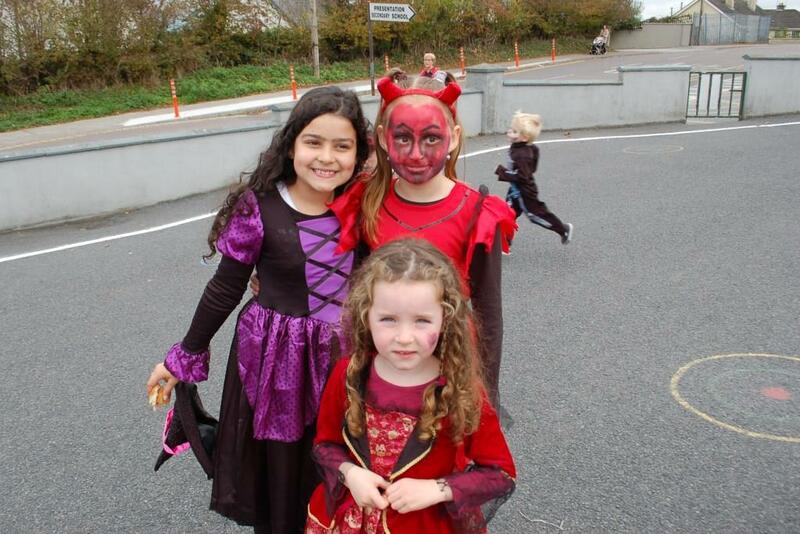 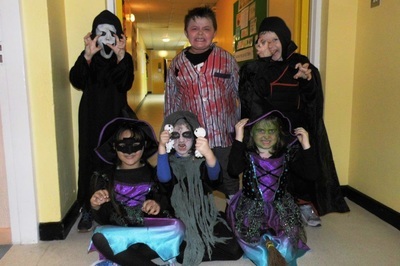 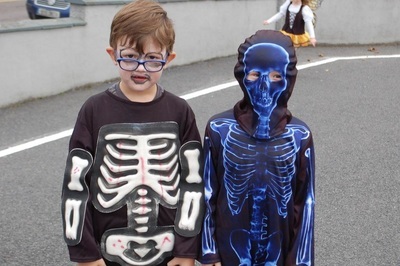 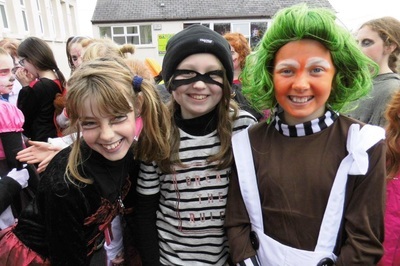 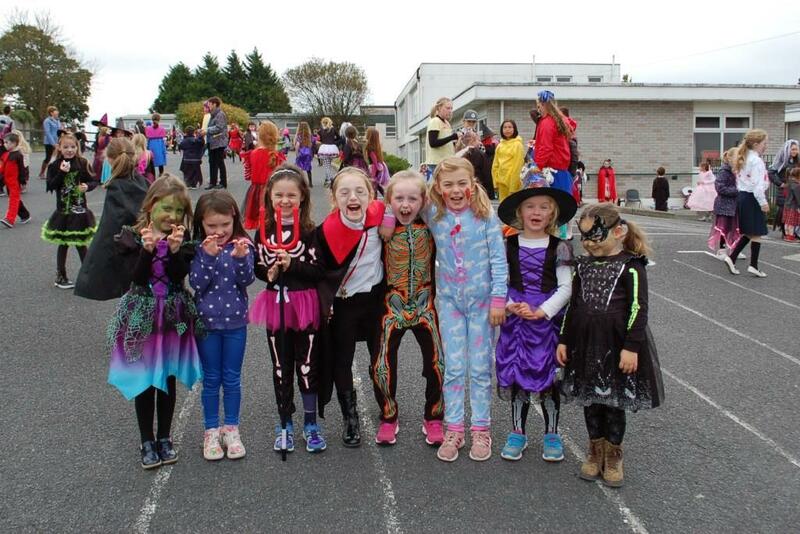 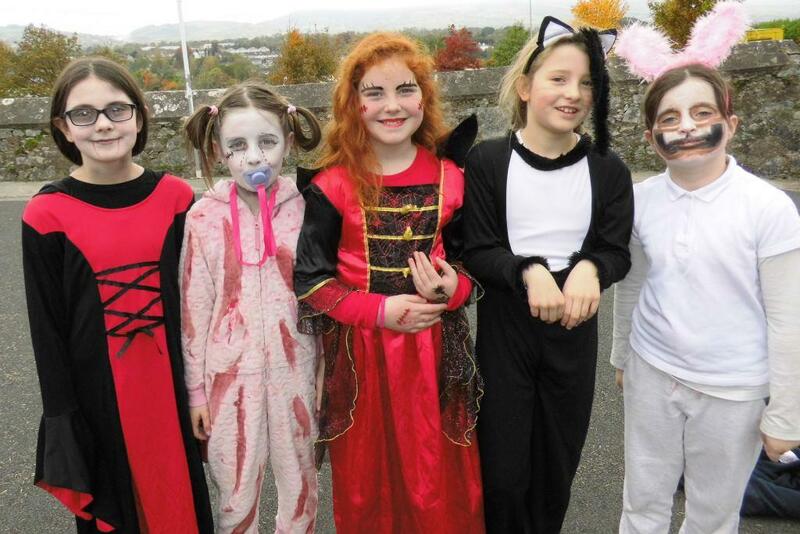 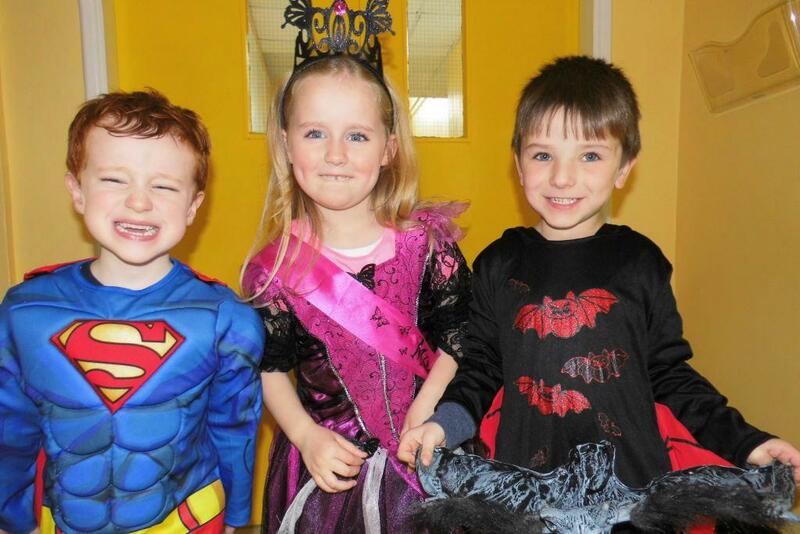 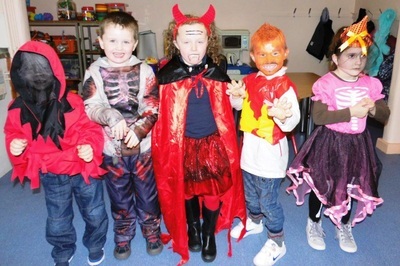 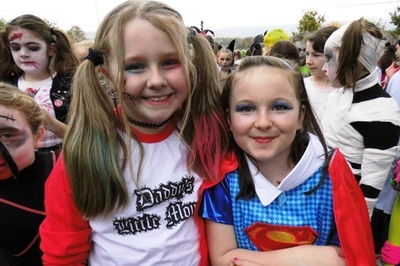 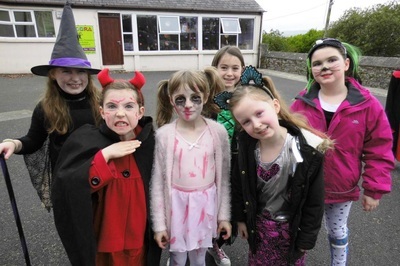 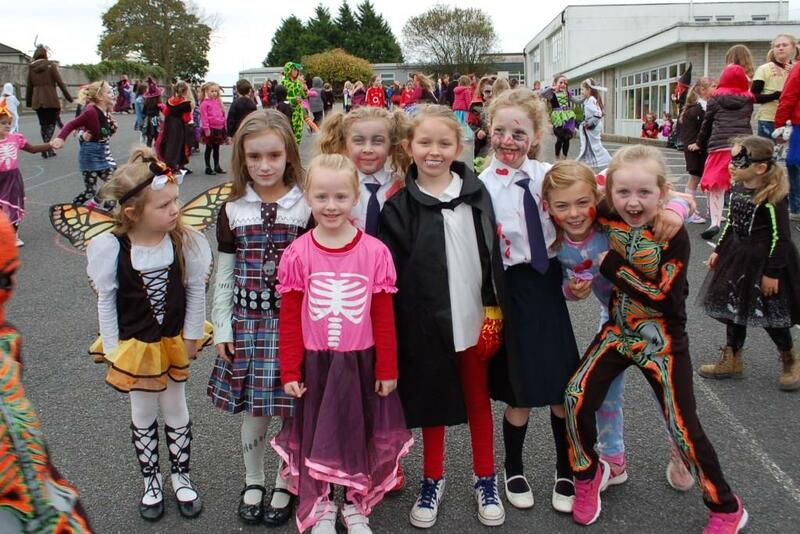 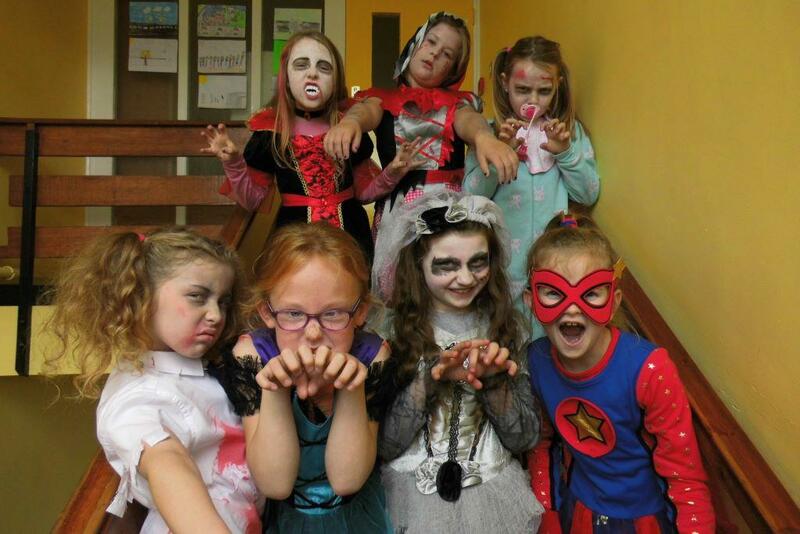 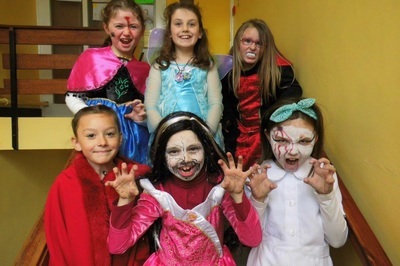 The last day of school prior to the Halloween midterm is an eagerly anticipated day in Bunscoil na Toirbhirte. So much planning and preparation has gone into making the costumes, perfecting hair and make up and putting everyone together for what has to be the scariest show in Mitchelstown. 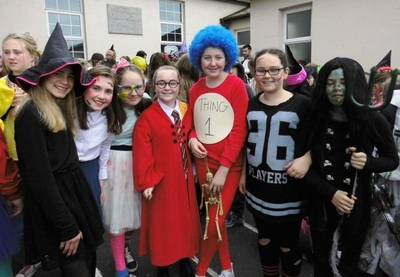 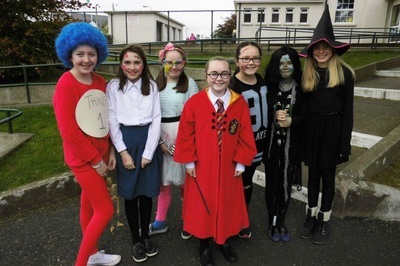 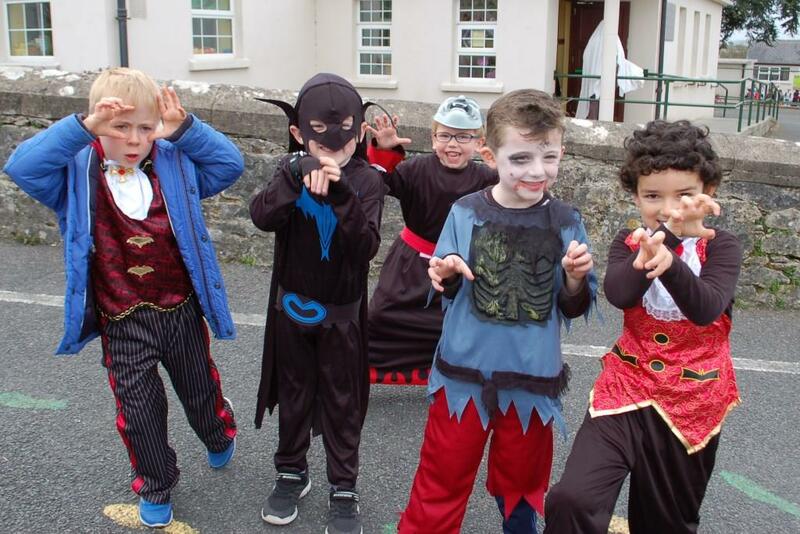 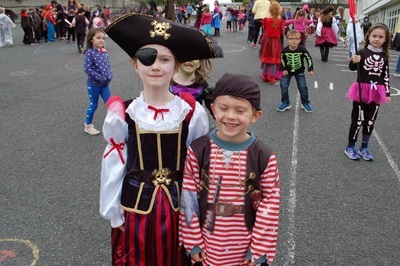 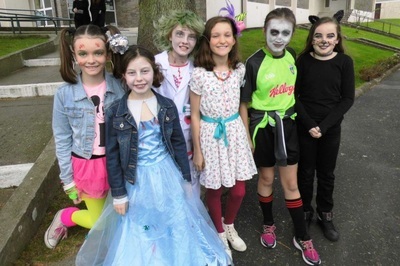 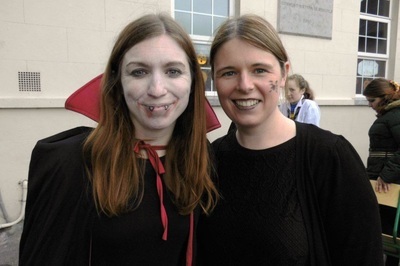 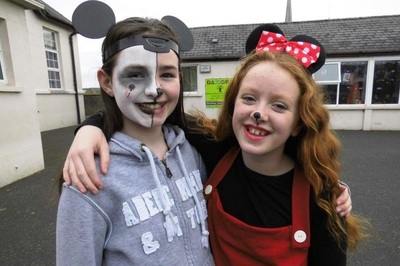 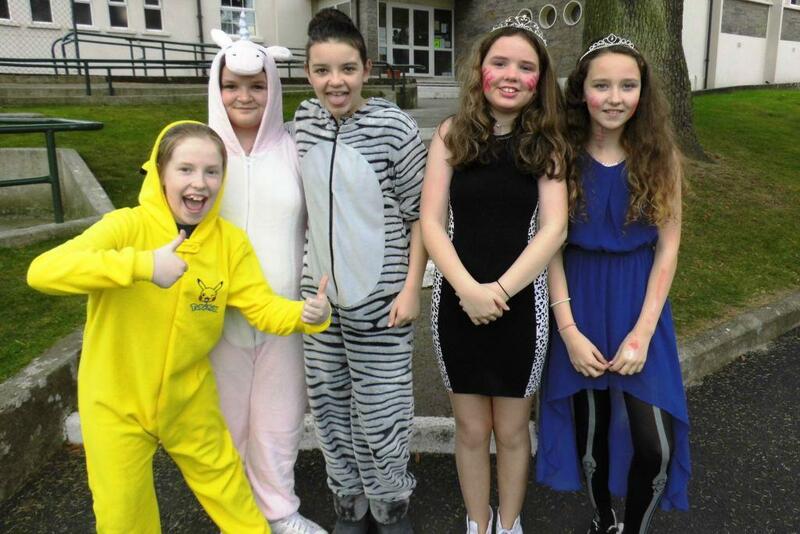 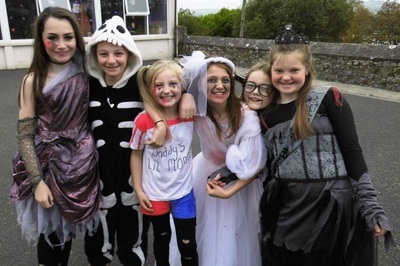 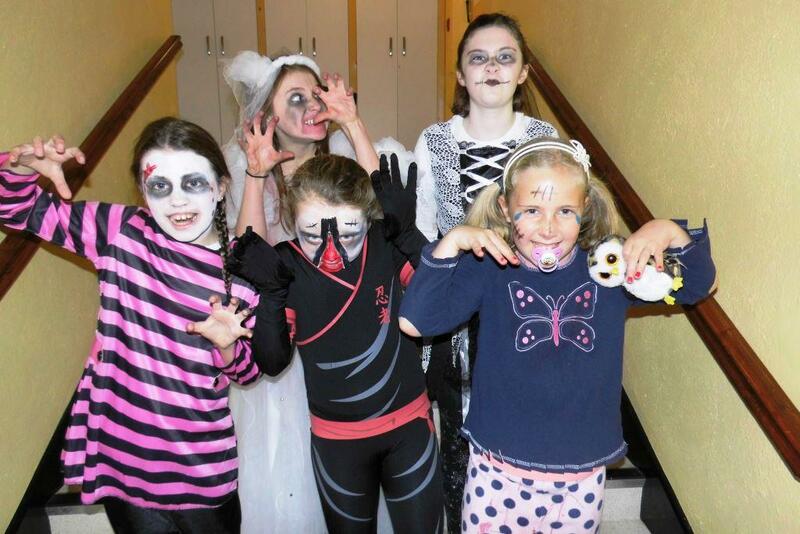 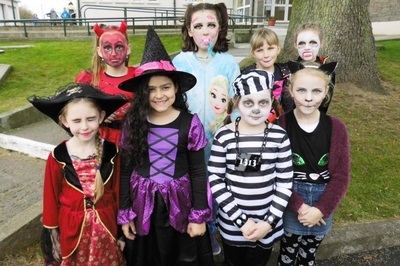 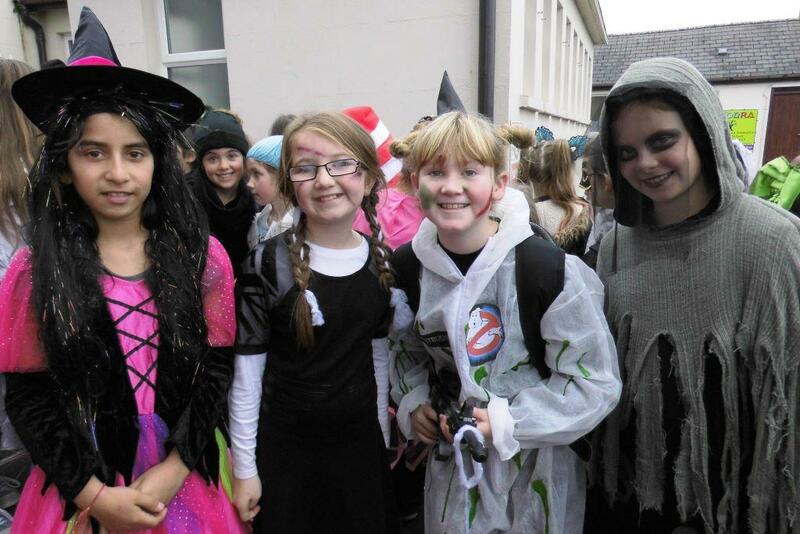 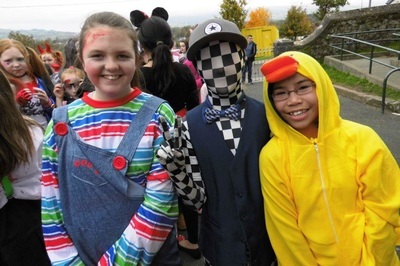 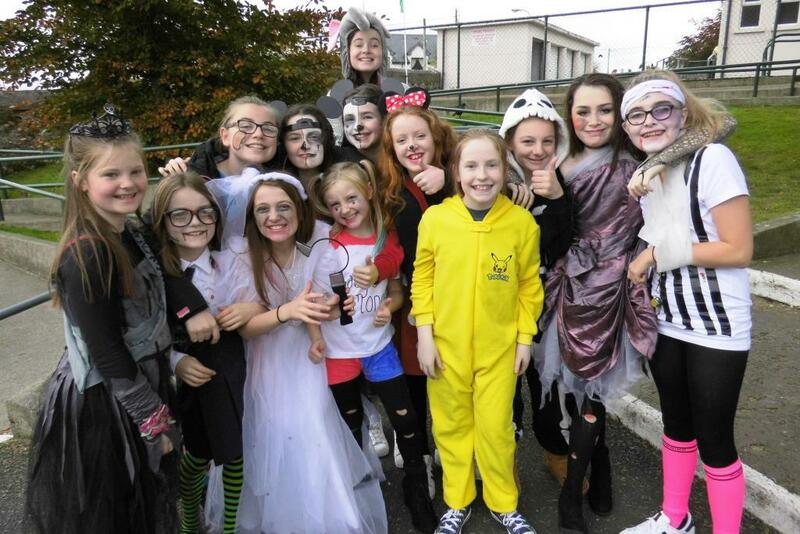 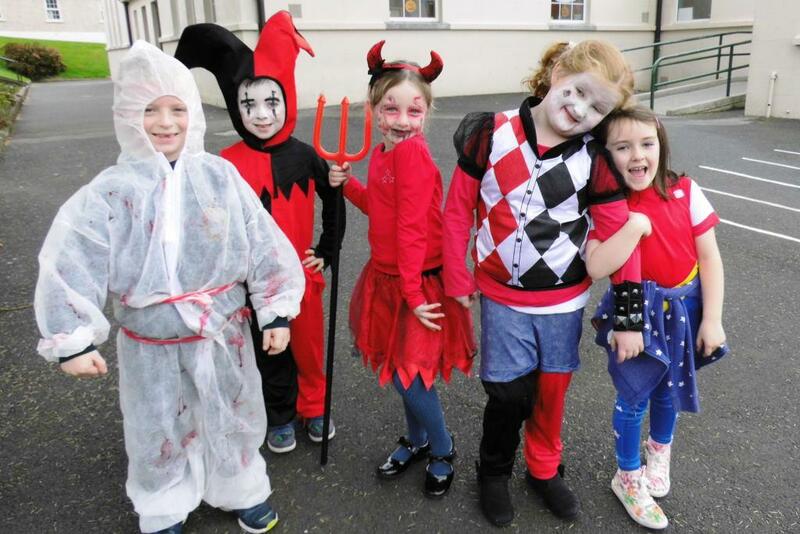 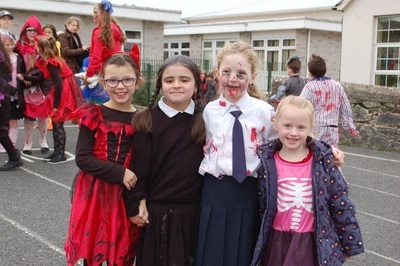 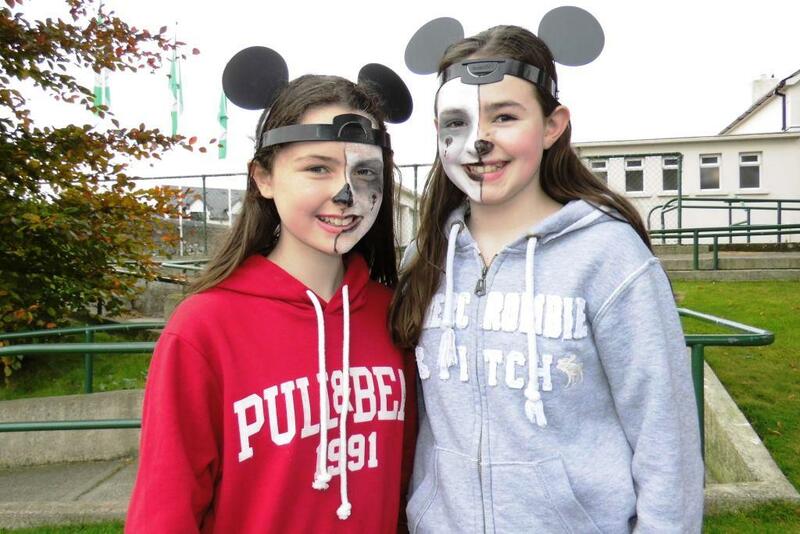 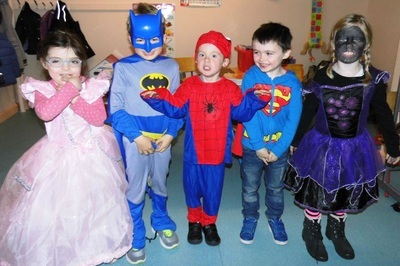 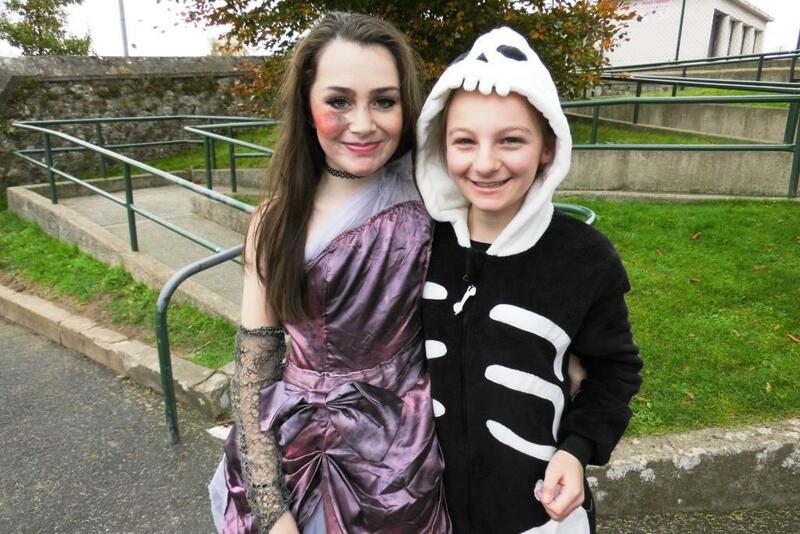 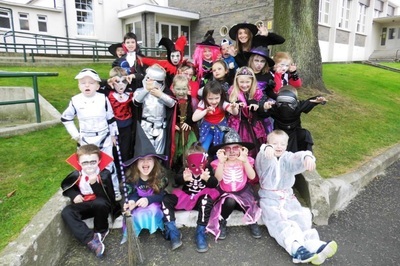 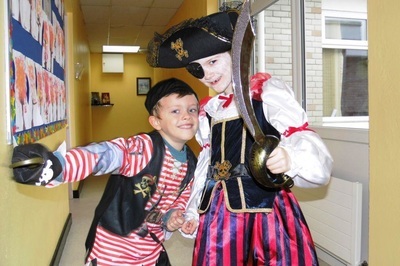 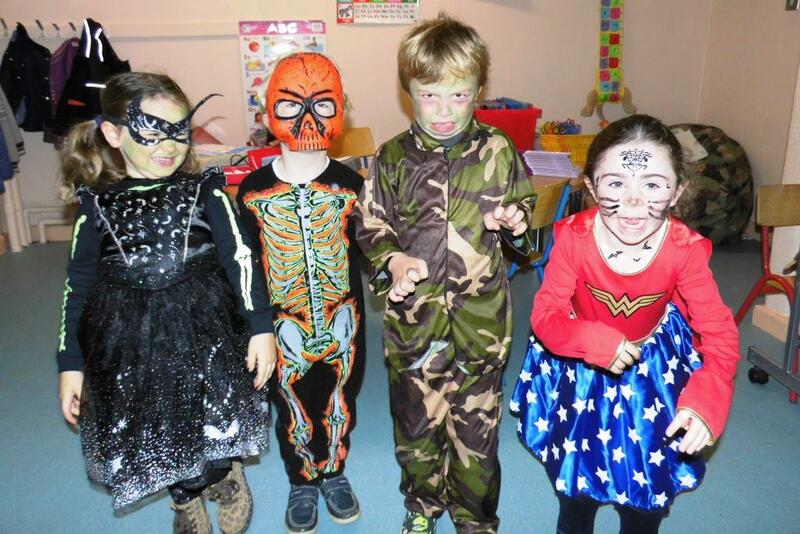 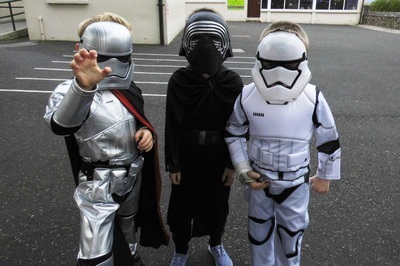 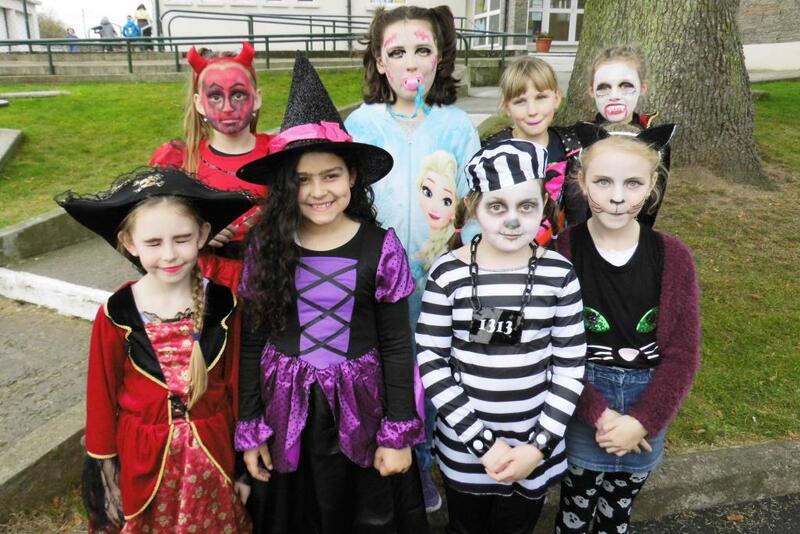 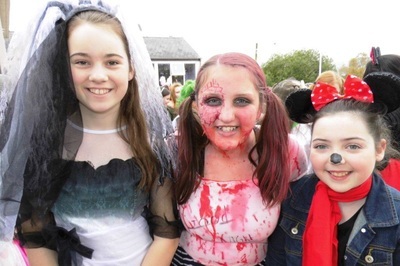 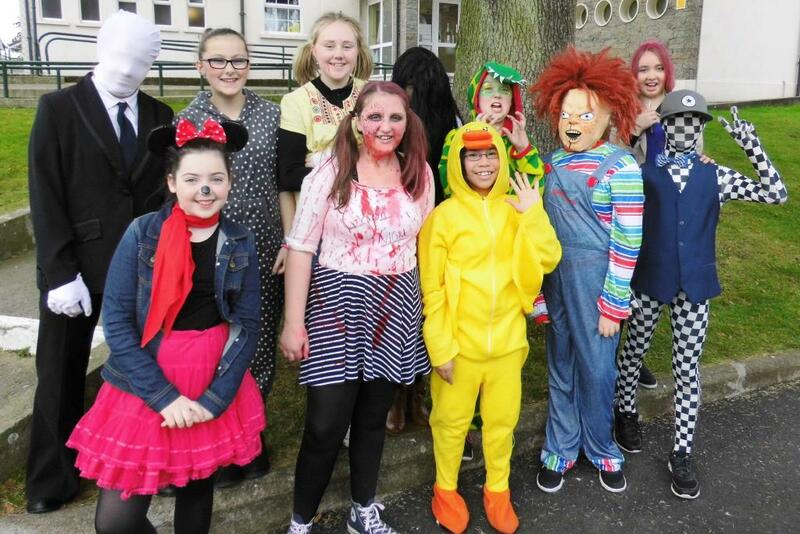 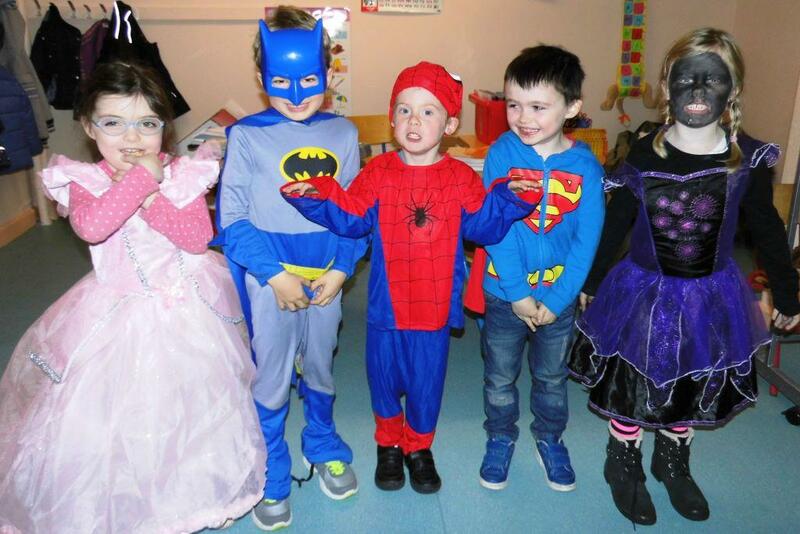 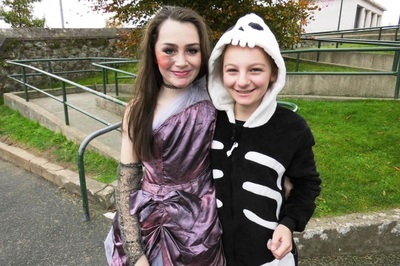 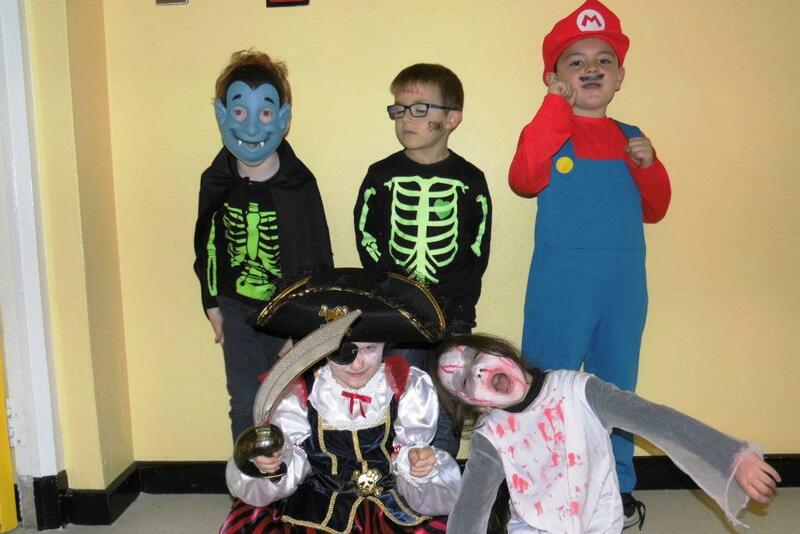 ​This year's dress-up day was even more special as it also included a fundraiser for the Christmas lights which are being purchased for the town by the Mitchelstown Business Association.